The ‘child’ is at the heart of everything that we do. Learning partnerships between the student, teacher and the home. Providing rich, authentic learning experiences that excite and engage our learners. Children taking a growing responsibility for their own learning. Ensuring our learning environment ensure students feel valued and supported where they are encouraged to take risk, actively participate and reflect. Higher order thinking where children learn about learning and are able to be critical and creative. That learning at Tawhai School needs to be fun! Students feel safe and love coming to school. Differences and diversity are celebrated. 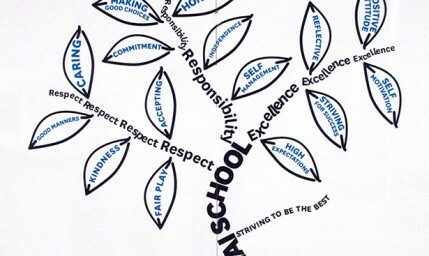 The Tawhai School curriculum promotes and models these values identified as important to our community. The four values are there to provide every student with experiences that enable each to achieve to the best of their ability, and to have their cultural values and backgrounds acknowledged, so that their identities are affirmed. At Tawhai School students are taught in very specific terms what behaviours are expected of them so that there is a consistent response to these ‘desired’ behaviors across the school. The school-wide values approach focuses less on the individual students as the problem and more on changing the environment around them to support positive behaviours conducive to learning. At Tawhai School believe in using preventative strategies such as recognising students who demonstrate, model or show commitment towards our school values, through regular praise, feedback, celebrations and rewards. We do this as a means to promote positive behaviours that provide an environment where everyone feels safe and remain focused on their responsibilities as a learner.